Room 4 is a double room and is situated on the first floor. Room 4 benefits from having one of our elegant, large double glazed bay windows that overlooks the garden and are delightful to sit in and relax. 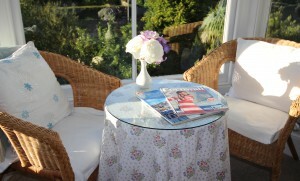 You can enjoy sitting in the bay window watching the sun set with a glass of wine – a perfect way to end the day! 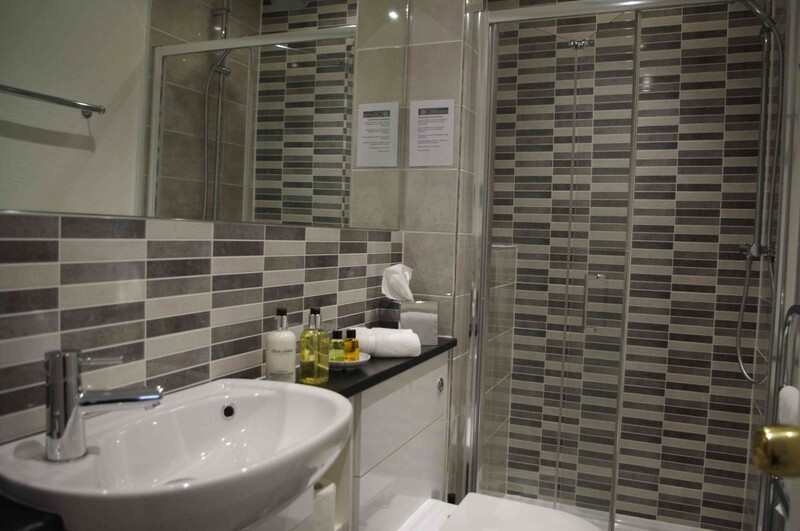 The bathroom was renovated in 2017 with contemporary tiling and has a beautiful Grohe shower with two shower heads.